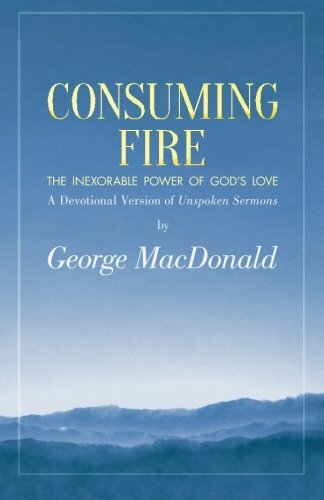 Consuming Fire is the daily devotional version of George MacDonald's magnificent Unspoken Sermons. When I finished editing it one year ago, I asked Barbara Amell if she would set some of the words from the sermon, The Consuming Fire (pages 11 to 21 of the devotional, and the second sermon of volume one of Unspoken Sermons). Barbara went to work, teamed up with the superb soprano, Dru Rutledge, and this video was the delightful result.